New Delhi: Aspiring pilots in India will be able to take online tests starting this month. The tests will eventually be evaluated instantly, removing the possibility for officials to fudge answer sheets to favour a few, said a top official at the airline regulator, which conducts the test. The changes are a step towards bringing more transparency to the testing system. The Directorate General of Civil Aviation (DGCA) has been mired in controversy this year after investigations showed that fake mark sheets were used to obtain pilot licences. It has taken seven years for the project to fructify, Bhushan said. The online examination system will be of immense help to youngsters, said an official of the Indian Commercial Pilots Association (ICPA), the country’s largest pilots’ union. “Till this exam started, it was easier to become a chartered accountant than a pilot. We used to sit in tents in the scorching Delhi sun to give these exams," the official said, asking not to be named. The online system “eliminates the human element of mishandling. It should have been done long back". In the US, prospective pilots can take the examination anytime they want, and the results are given soon after as the examination and evaluation systems are computerized. Bhushan said that is the next step, but it will take some time before that level of sophistication can be reached. The enrolment of around 5,000 pilots to give these exams points to another dimension, the ICPA official said. Since only first-timers need to give the exam, besides those who want to become commanders from co-pilots, the enrolments suggest a huge number of pilots are coming into the job market. India has around 10,000 pilots with at least half of them without a job. The test is the first step for someone aspiring to fly commercial aircraft, where initial salaries are as high as Rs1 lakh. “The move is welcome and would have, no doubt, teething glitches and frustrations for pilots. Finally, success or acceptability will depend on whether the intent is to just end corruption or for genuine reform," said Shakti Lumba, former vice-president of operations at InterGlobe Aviation Pvt. Ltd-run IndiGo. “The sheer numbers involved will swamp the present manual processing system. 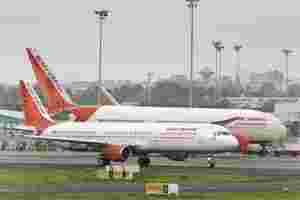 What are the DGCA’s plans, if any, on reforming the licence issue and its renewal process?" The regulator needs to make the evaluations quicker than the one month required now, said Mohan Ranganathan, an aviation safety expert and a member of the government-appointed Civil Aviation Safety Advisory Council. “The result should be released immediately on completion of the test. Having a one-month gap gives room for manipulation and corruption," he said. The ICPA official said one of the most critical additions to the online system has not been done. “When the student studies, he tries to get data from any book available right now. The only thing remaining is to define a syllabus."